A new study finds that when students experience an academic setback such as a bad grade, the amount of cortisol—the so-called stress hormone—in their bodies typically spikes. For most students it drops back down to normal levels a day later, but for some it stays high. These students remain fixated on the setback and have difficulty moving forward. The researchers analyzed the stress levels of students at two high schools in central Texas during an especially stressful time—the transition into high school. Students completed daily surveys asking about the stress they experienced, and daily saliva samples were collected to measure their cortisol levels. A majority of these students—68 percent—experienced a drop in grades in the first semester and reported feeling stressed as a result. In how they handled that stress, two clear groups emerged. Students who believed that intelligence can be developed—a growth mindset—were more likely to see setbacks as temporary, and not only had lower overall cortisol levels but were able to return to lower levels shortly after a setback. Students who believed that intelligence is fixed, on the other hand, maintained high cortisol level for longer, said researchers—a stress response that tends to depress problem solving and intellectual flexibility. “Declining grades may get ‘under the skin,’ as it were, for first-year high school students who believe intelligence is a fixed trait,” explains Hae Yeon Lee, the study’s lead author. “But believing, instead, that intelligence can be developed—or having what is called a growth mindset—may buffer the effects of academic stress.” The researchers speculate that students with a growth mindset may be more likely to seek out "resources to help them cope—such as talking with teachers, peers, or parents about how to study more effectively." Stress isn’t always bad. Cortisol increases blood sugar, metabolism, and memory function, providing a temporary boost to physical and cognitive ability, and positive stress—called eustress—can boost motivation and decision-making, helping students achieve goals. The stress experienced over an upcoming test is a reminder to study, a way of raising the stakes so that students recognize the importance of being prepared. But with chronic stress, high cortisol levels can instead impair brain functioning and suppress the immune system, causing long-term damage. During childhood, the neural circuits for dealing with stress are malleable, and chronic stress can rewire the brain to become overly reactive or slow to shut down when faced with threats. So too much stress can disrupt normal brain development and increase the risk of diseases even into adulthood, according to a 2014 Harvard report. What can schools do to help? 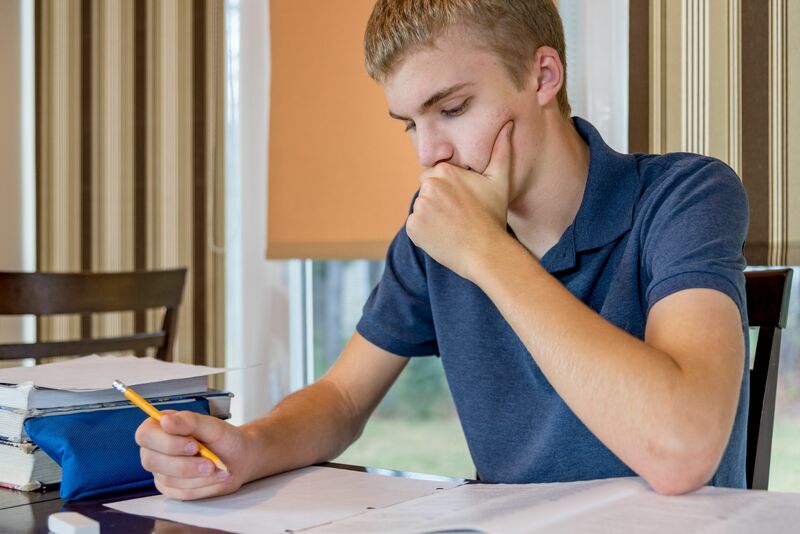 “For many young people, the transition to high school can seem like the start of a stressful, seemingly endless marathon,” the researchers write. They recommend that in addition to helping students develop a growth mindset, schools pay closer attention to the demands that students face in ninth grade, and provide more academic and emotional support during this transition year. The takeaway: Stressed-out students aren’t thinking about solutions. If you want students to learn from their mistakes and overcome obstacles, think about ways to encourage them to adopt a growth mindset.